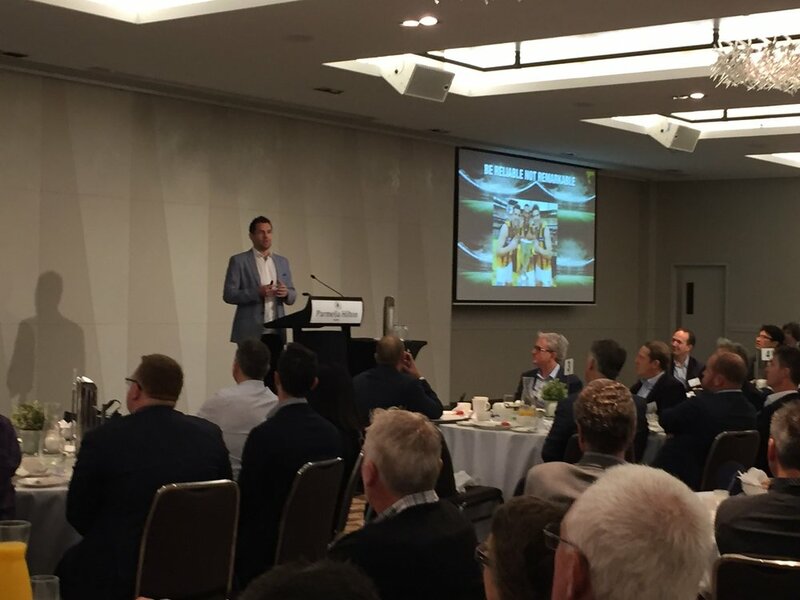 On Friday 22 September 2017, DJ Carmichael Pty Limited was delighted to host AFL champion Luke Hodge at the breakfast launch of Strategic Portfolio Advice. Over 140 clients listened to Luke’s presentation on ‘Leadership & Culture within a Successful Organisation’. Luke explained the key areas, indicators and attributes that lead to such a prolonged period of success at the Hawthorn Football Club, and how those points could be applied to any organisation. Luke’s fascinating insight into the football club, the leadership group, and his outstanding career was inspiring and was followed by an enthusiastic Q&A session. It is a pleasure to have Luke Hodge associated with the DJ Carmichael brand. For more information on Strategic Portfolio Advice, please contact your Investment Adviser on (08) 9263 5200.